Keeping a clean environment is an essential component of your scabies cure. While getting rid of the mites in your skin is challenging enough, it can be even more challenging trying to avoid re-infestation. People have been cured, some very quickly, with these medications for decades. 2) They aren’t doing a good enough job of keeping their environment clean. An unclean environment = a constant risk for re-infestation. You don’t want to fall into the same miserable trap as the hopeless people I mentioned before. So let’s go over some tips that will help you to out in your quest for cleanliness. 3.) Does Lysol Kill Scabies? 4.) 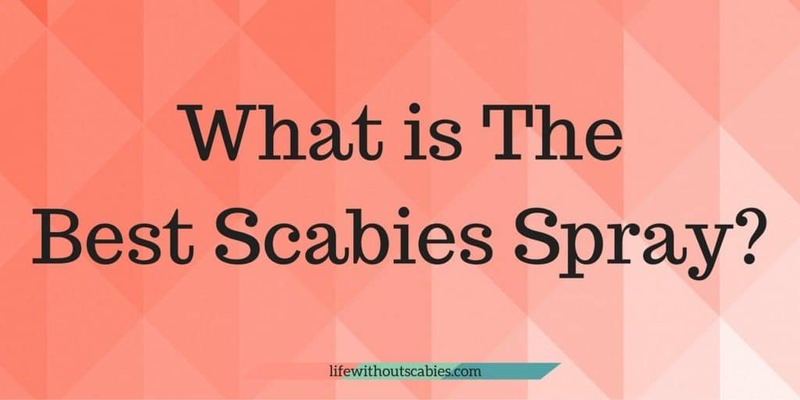 What is the Best Scabies Spray? 6.) 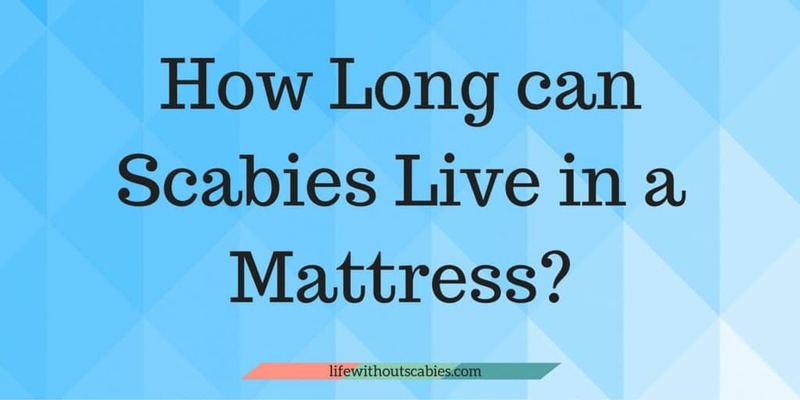 How long Can Scabies Live in a Mattress? 7.) 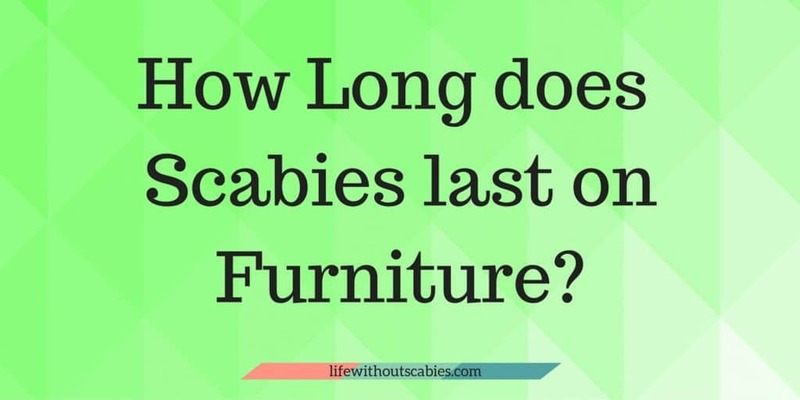 How long Does Scabies Last on Furniture? 9.) 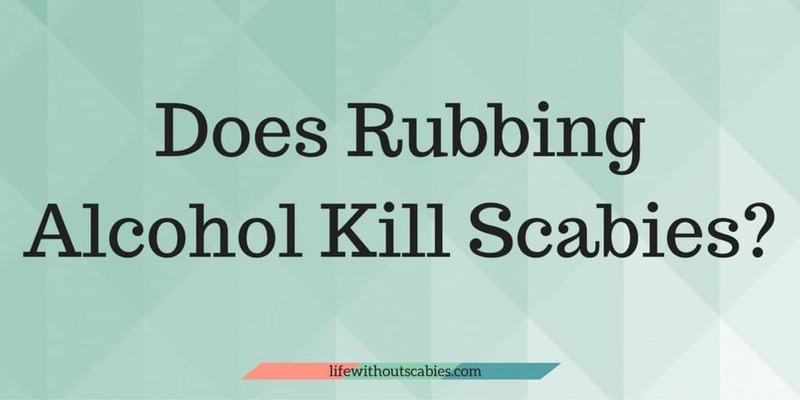 Does Rubbing Alcohol Kill Scabies? 10.) 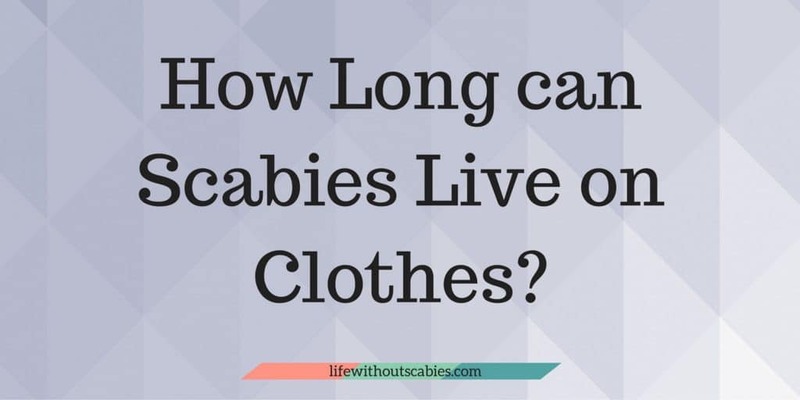 How Long can Scabies Live on Clothes? 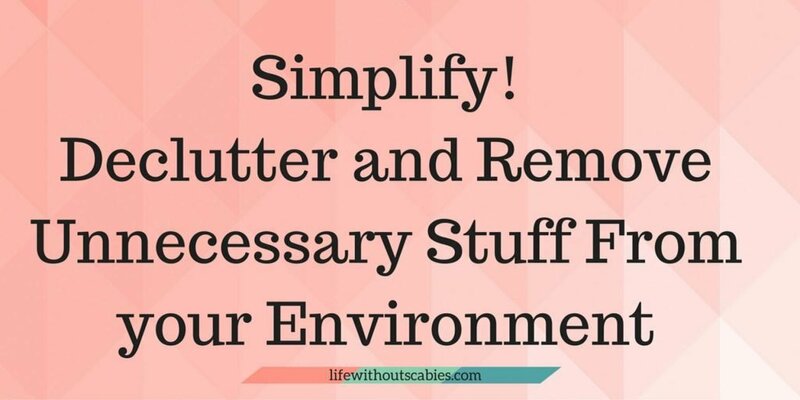 Consider it an opportunity to practice simplicity. Anything you don’t think is necessary to keep in your life during this process – stow it away. Household items like excess furniture, clothes, bedding, towels, rugs, blankets, couches. Store them in a spare room if you can, or if you have no spare room just wrap fabrics up in plastic so they are as easy to disinfect.? Remember, it’s a good idea to disinfect everything you’ve come in contact with. All it takes is a squirt bottle that you can carry around. The more clutter there is the more you have to clean and the more risk that mites will be hiding away. 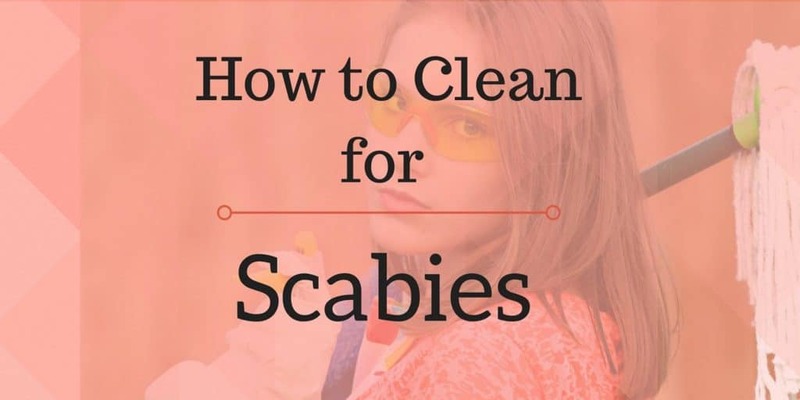 I mention more about this in the post 100 Practical Tips for Scabies. Surfaces – Use disinfectant sprays. Spray down anything you or other infested people come in contact with. This Permethrin spray is very effective for this. ?So is?Eco Living Scabies & Bed Bug Spray. Make sure to reapply after every use of an item. Pets – We love our pets and we love to pet our pets. But for our sake all this petting is going to do the opposite of helping us contain the mites – your pet will spread them to whomever they come in contact with. Though scabies mites are unlikely to actually live off of your pets’ bodies it is highly likely that they can carry the mites on their fur for a long time if left there. You don’t want that.? As a solution, you can either get your friends or relatives to pet sit, wear gloves when you pet your animals or give your animals a good washing. Ideally wash with a strong solution, like this Sulfur concentrate pet dip for baths. Carpets – With counter tops, a quick swipe of a disinfectant will do the trick. Especially if you have thick carpets like shag. It’s a good idea to borrow or buy a?steam cleaner. The heated water and soap will kill off any mites that are currently calling your carpet home, not giving any mites a chance to burrow and wait. Lysol is a powerful disinfectant and will kill scabies on surfaces. Ultimately permethrin spray is my top recommendation for cleaning surfaces. But I recommend Lysol as well. Use Lysol or Lysol wipes to clean tables, handrails, car surfaces. Any surface you’ve touched while infected. If you’re going to be cleaning your environment with a disinfectant spray you want to use the best ones. The most important thing, of course, is to use a spray that kills the mites on contact. The first thing you’ll want to do is cover your mattress. Place a mite-proof zippered mattress encasement keeps over your mattress to completely keep the mites away from it. You can purchase protective mattress covers for all bed sizes here. Alternatively, you can purchase an air mattress with a plastic cover built in. These are easy to sanitize on a daily basis with Lysol, disinfectant wipes etc. Now that your mattress is covered you can sleep on it. Your daily ritual while infested should be to put on fresh sheets every morning. Don’t sleep on the same sheets twice. Use some bleach or tea tree oil in the wash cycle. Dry all of your sheets on HIGH heat and for a long cycle before using them again. Scabies can live for two weeks or more without a human host. It does depend on the surface though. A countertop, for example, isn’t a great host place for scabies. They’ll likely die before two weeks there. But a mattress provides a nice temporary home for the mites. It provides safety and often provides food. All of the dead skin cells that slough off onto our mattresses provide sustenance for the mites while they are waiting for the next human host. All the more reason to put a zippered mattress encasement over your bed like mentioned previously. If your mattress is likely to already be infested I recommend not using it. If it’s your only mattress then put a zippered case over it and don’t take it off until at least a month after you’re cured. 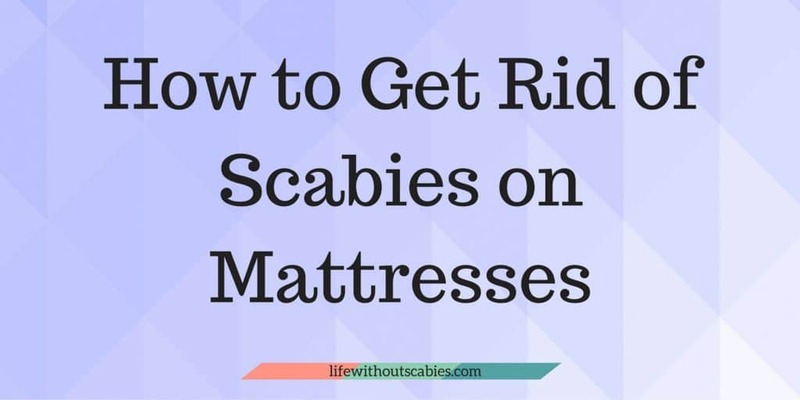 Scabies can live on furniture for two weeks or more. Scabies mites prefer to have a human host but without one they can still hang out and live for quite awhile. 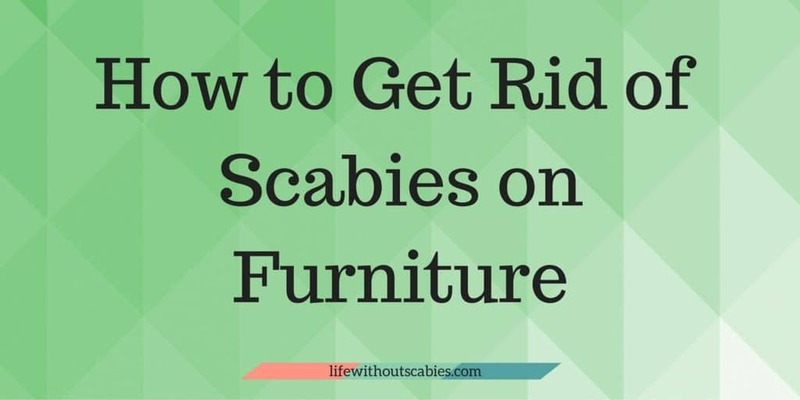 If you think you have scabies mites on any your furniture you should either store it away until the infestation is over with (at least 3 weeks after) or you should clean your furniture regularly after each use. In an ideal world, you could easily wash and sanitize your furniture with scabies compatible surface cleaner spray. Unfortunately, many people have upholstered furniture. This type of furniture?is much harder and more time-consuming to clean. If you have upholstered furniture I recommend covering them with a vinyl cover or covering them with sheets. You must clean these surfaces after every use. Vinyl cover with surface cleaner and sheets in the wash with high heat. If you have plastic furniture stored away this is a great time to bring it out and put your fancier, harder to clean furniture in storage for a little while. Just be sure whenever you use your furniture that you clean it after. Either wash your protective coverings or clean the surface directly. Yes, rubbing alcohol can kill scabies on direct contact. You can use rubbing alcohol when cleaning your environment. Rubbing alcohol is not recommended for treating your skin, though. For that permethrin cream and internal ivermectin are recommended. Scabies can live on clothes for two weeks or longer. A.) Put them in a trash bag and store them away for at least a month. Ideally a month and a half. You should only bring them out after you’ve been cured. B.) If you don’t want to put them in temporary storage you should clean your infested clothes regularly. Never wear the same clothes twice in a row. Wear them once and clean them before wearing again. Make sure when washing contaminated clothes to dry with HIGH heat on a long cycle. I’ve been trying to treat it for half year with no success. I used permethrin, ivermectin and it seemed to work only for a moment. Fortunately after applying a treatment, which is described in a linked ebook it looks like scabies finally disappeared. I applied it 4 weeks ago, cleaned all my clothes and daily-use items and so far nor scratches on my skin or any itching. I’d like to share with you a book about how to win with those annoying parasites. I hope, it will help you to get rid of scabies. What’s the name of the ebook? I got scabies from a bunk on a commercial fishing boat. For 6 months I used doctor prescribed or over the counter pharmaceuticals to no avail. Went online and found Kleen Free, an enzyme solution that causes their bodies to break up. I ordered it and when it came, 5 days, GONE! They never came back. I didn’t have to worry about the environment, just put the solution on my skin. They can’t live in the environment without feeding on someone. http://naturalginesis.com/ is the company that makes this product Kleen Free. Can you tell me if the solution you bought was their ” Klein green”? It appears to be an all purpose cleaner, did you use it on your body? It is crap, does not work & it is a hassle to get your money back. Very interesting post! I needed some good advises about cleaning my home. Especially about carpet, because so far I just vacuum it, but it needs more attention. Thanks for sharing!! I KEEP VYNYL MATTRESS COVERS ON MY BEDS. Where can I buy a vynle mattress cover? “fossil shell flour” which tares the mites to pieces, making my home a deadly environment to them but harmless to us! Did the Fossil Shell Flour work for you? Have been to many Drs over the last year and no one said I had scabies till 10 days ago. I now have to debug my home. Please let me know if this has worked for you and if not, what did. Something has been biting me since it warmed up in early May. At first I thought it was the ticks I saw on my leg in early May. But something keeps bitting me at night and I fear some sort of mite from the woods or a motel. I don’t see any bugs so it must be small and unseen. Going to throw out a lot of extra stuff, spray with permethrin, and try rubbing down with a cream. I tossed a foam mattress cover nearly 15 years old and soft thick fabric mattress cover and got a vinyl one. Seems that the bed may be where I’m getting bit. Something like this got me a year ago too when it was warm, always seemed to wake up with a couple bites. Problem is my sectional is a few years old and a custom built $2500 quality product, not some Chinese junk and I need to really clean it out, not toss something nice. Other stuff can get tossed. Too many 10 year old rugs everywhere in my place, my sister went with bare floors with her dirty kids, probably much cleaner. I have no idea what is biting me but it must be some sort of mite, could it come from open windows this time of year and warm environs? Did I bring it in from the woods, or pick it up at a public place? The vinyl matters covers are useless if you do not clean your bed linens frequently. Vinyl covers only protect the mattress itself, but the upper layer of sheets and comforters are exposed to your skin with the mites. You’d be best buying a disinfectant called ‘BenzaRid’ or anything that contains Benzyl Benzoate (an active chemical that is scientifically proven to kill the mites). SPRAY the hell out of everything that you actively touch; bed, rugs, carpets, sofas, chairs, car, etc. Reinfestation is a common reason scabies symptoms linger onward for months. A clean environment is THE second most important part of getting rid of them, secondary to actually taking either permethrin or ivermectin to rid the mites on your skin. Thanks CU. The sterilization spray was the question I had. Does solution stink? I’ve been struggling with this for going on 8 months, because I was misdiagnosed. I have done everything in the world to get rid of these things. I’ve been treated with the prescribed premethrin like 4 times, I have been taking bleach baths and scraping the protective covering off during the bath, and applying the Martins 13% diluted mixture immediately after the bath. I pour the mixture over my entire body and leave it on until the next bleach bath. I also apply Tea tree oil . This has been the only relief and difference I have seen yet. Of course I am OCD and am doing laundry like every two days and don’t wear or use anything twice. I have bought all new socks and have gotten rid of my shoes as well. They are tricky and very resistant after awhile. I rented a steam cleaner and LITERALY washed n dried every article of fabric in my home. I sprayed with the permethrin spray. But it can be privy to do this continually so I made a spray bottle of tea tree oil n water. And I spray everything down daily with it. I scrubbed my home down with bleach n a steam mop. Here’s hoping they’re gone. i was wondering when someone was going to say tea tree oil…they make it in many ways, in creams, oils to mix with water, in a spray bottle to spray ddirectly onto your skin,, i used this oil as aromatherapy in my closets, and it took 2 weeks and with the help f benaryl pills at night and both benadryl cream and cortizone 10, it was out of my house and body in 2 weeks, rash and all. no dr visits, just webMDs home remedies. i heard scabies dies in the closet in several days. but i have leather jacket in the closet, will it live off my leather jacket and survive to re-infect me? The scabies will feed on the leather and become stronger. I once had a leather jacket during a scabie infestation, and the mites became so strong, that they started bullying my son. They would not let him go outside for any reason, and requested that he bring them food for their transformation. What was the transformation you ask? They molted and grew to be the size of my 6 year old son and started mimicking his traits. I would suggest you throw out your stupid leather jacket, because this is not 1950, and they are not cool. This is just my experience, but you can do whatever you want. Good luck fucker!!! that person hasnt came back to tell us the ebook. webMD has home remedies that helped me without the 150 dollar permethrin cream, but i use a ot of tea tree oil and benadryl. see my earlier comment just a few comments above. How soon can you start cleaning once you’ve been treated!? Doing oral medicine and starting to deep clean, but should I continue to deep clean…and how long?! Thank you for these practical tips and ideas. I just wondered about pillows? Washing the pillowcase daily but what about the pillow itself and blankets? In South Africa where I live our only medication for scabies is Benzyl Benzoare and a sulphar soap caked Temosol. Have started the treatment last night but am a bit overwhelmed by the process of all of this. Thanks for your advice but when you really think about it, that is not cost effective. May cost $2-$4 just to dry one hour. Then another $2 -$5 to wash Pillows Then another ,$4 to dry again. Pillows only cost $2 to $10.00 each. Why bother, throw the pillows away and purchase new ones. Maria, did you ever find a solution? I wonder how many people who get reinfested do so because if their cell phones? I sipped mine down with alcohol then when dry put mine in a ziplock bag with a little D.E. And will leave it there until this is over. This is a wonderful website. I’m so grateful to have found it. I thought I had had an allergic reaction to something, but after 3 weeks, finally found out that it was scabies (the Dr. initially said it was bacteria in my shower loofah).I started permethrin treatment today and want to eradicate every trace of this thing. I’ve been putting everything in the dryer (blankets, pillows, sheets, etc. ), but I was wondering if spraying Lysol was enough to cover my mattress with. I’ve also vacuumed my mattress and have disnifected everything I have come in contact with with Clorox wipes and Lysol. I don’t want to buy permethrin spray since I read it’s highly toxic to cats and I have a cat who is very curious. Should I turn my mattress over? I’m afraid doing so will bring any mites back. Help! So my son was just diagnosed and the doctor of course recommended the whole family be treated. My question is the furniture and how to clean that? Also I have a bag-less vacuum…how do I clean that after we vacuum the house? 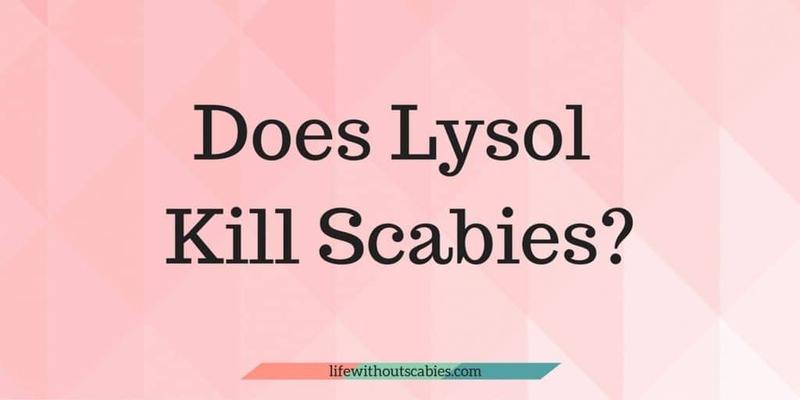 does the Lysol kill the scabies too? My son had it really bad both me and my husband and his girlfriend and kids had a mild case of scabies. My sonnwentbto a dermatologist gave him a tube of stuff to treat all three of us, then instead that you can soak in Epsom salt, by scrubbing yourself till the salt burns a little thennsoray yourself with white vinegar, both kills the mites and eggs but man does the vinegar burn but it’s virtually it. I also sprayed all the bedding, couch and chair in vinegar. I also neither my clothes inside out with it, it’s working. My grandson was diagnosed with scabies, before I took him to the Dr. I started itching and developed pimples on my upper back, only. I then visited my Dr. and we both started the Permethrin cream. Before yhis I attended water arobics regularly and believe the bleach from the pool kept the scabies from infecting the other parts of my body. My upper back did not get exposed to the water. I’m presently washing and disinfecting everthing. I was told that scabbies can’t live in bleach is this so? Rubbing alcohol in a spray bottle – Don’t dilute it !!! Spray literally “EVERYTHING” beds, clothing, furniture, “anything” you come in contact with in your house ? ALSO DON’T FORGET: Your vehicle also needs to be treated as well. It will smell of rubbing alcohol for lil while but opening your windows and doors will air smell out quickly? Putting your pillows in “hot” dryer for 20 min and washing entire bed in “hot” water and spray mattress. If you have pets give them bath as well ! Good luck ? What about the box spring?do I need to treat it too? SURRENDER, a product for fire ants brings instant relief (by MARTINS). Stinks to high heaven. We call it cabbage dust. Kills like crazy; roaches, ants. spiders & bedbugs & mites. Trying on my carpet tonight. Can find it at Walmart or your local feed & seed store. Cost more on line. Sending Love and Wishing Everyone Suffering Hope and Peace. I have been there. Yes, crazy bad, but this is to send free support. kp.org/listen over $400 of free guided imagery Podcasts sold elsewhere for about $20 each, well produced by a respected mind body psychotherapist. You can download or listen- download on iPhones as listen needs Flash and no Flash on iPhones. Recordings including for immune system, stress and relaxation, pain, sleep, forgiveness and anger- understandable toward non-believers and doctors who misdiagnosed us and these thing attacking us, etc. All valid and understandable, but makes our work harder. We need to give our minds and bodies a mini vacation from the endless cleaning, treatment and researching. I listened while in the bath and/ or falling asleep, and any time I had a break. People who don’t have it and don’t understand ask about stress and suggest if we just relaxed or didn’t think about it so much. That is both impossible and possible. Stress and our thoughts didn’t create it. It’s real. And it seriously needs to be dealt with. And we can support ourselves to do all of this by finding the openings, when it’s possible to consider letting in a resource that can help us feel relief, relaxation or distraction for however brief of a time. I think I read on Mercola.com or somewhere that stress turns off our immune system temporarily, and increases inflammation. Our already very inflamed skin doesn’t need that, and we Do very much need our immune system to fight this and the debris and the treatment reactions. We will be stressed, it is stressful, and we can accept that rather than judge it; and we can take some of those times when we are inclined to read more chats about treatments, symptoms, cleaning, eradication, etc as a reminder to cordon off some of our mind and time for something nurturing and restorative support. I totally agree with you, Christine. It is important to not ignore the emotional and/or spiritual parts of our being as those parts are not separate from the physical parts of our bodies. It’s easier said than done though, especially in such a toxic political economy where self-care, a necessary and crucial need to thrive, is a luxury for so many struggling just to make ends meet. It’s a damn shame we all have to be forced to deal with this issue individually when resources squandered on maintaining the pharmaceutical industry and medical industrial complex could be used for clinics specifically for people and animals dealing with things like this, skin mites. This is a public health crisis but it is not dealt with as such. Ok, rant over… but who’s with me? I went to the local feed store and got my Ivermectin and Permethrin for under $20. Can sulphur soap help to get rid of it ? Or Epsom salt. I will try to make this brief and to the point as I have spent a year trying to find a cure and read most of the forums from sufferers which is tiring, upsetting and frightening. 1. Went undiagnosed by doctors and dermatologists for all this time. 3. I prepared 7 days of clothes and bed sheets. Covering the mattress with plastic. 4. Put the sheets and clothes in a plastic bag for 7 days. Label the bag on the day you put them in. They are ready for use again after this. Many websites say 48 hours but I wanted to be sure. If you want to wash everything, it must be at 60 degrees. Always wash after a treatment. 5. I took Ivermectin orally and topically having tried numerous cures. This one worked but only if you clean the environment. You may feel itchy after treatment but this is the horrible things dying off you skin. 7. If your family has it you ALL need to treat and do the same as above at the same time. 8. They need skin to survive and eventually die off fabrics if you do the above. Does permeyhian 5% cause any side affects? I Boiled water held a hand towel i dipped in it on lesion for 20 minutes off and on as much as i could tolerate, followed by 50% alcohol, tea tree oil, oregano oil and topped it with a mixture of honey and curcumin. My itching subsided. I did take the prescribed cream and 4 tablets of oral medicine ivermeti and put premethrine cream on lesions. I boiled water, let it cool then dipped a hand towel in it, held it against my lesion as much as i could tolerate 20 minutes off and on. Then I put 50% alcohol, tea tree oil, oregano oil and 1st put a mixture of honey and curcumin. On the second application of all of the above I topped it with Vaseline, itching ceased. Poor Zoe. Bless her heart. Glad that”s all over & behind. & geez they need to seriously lysol everything down at that daycare. How do the workers keep from getting sick every week?!?!?!!?!? Your hair!!! GORGEOUS! I suffered from Scabies in 2011 and got rid of it after trying so many things including tea tree oil baths. Before going for natural alternative ways I went to a dermatologist who prescribed Ivermectin and Permethrine to me. But these meds also didn”t work for me. I realized that I needed something to boost my immune system so I took silver ion liquid and garlic oil capsules. I think scabies mites don”t like garlic smell. Another thing I noted that scabies increases if you are exposed to hot weather or you use hot water in shower. So I started soaking myself in cold water with few drops of tea tree oil and it proved effective. Still the mites didn”t die completely so I followed my grandfather advice to apply my urine topically and it worked miracle for me. I used to apply my urine at night and wash it off in the morning. Miraculously it dried the nasty mites and my skin became healthy just like before. Many of you might reject this idea but let me assure you that I suffered for months and tried almost every possible thing before trying my urine which was proved to be best and cheapeat cure for scabies. I went to Urgent Care 6 days ago with a raging case of Scabies – The initial diagnosis 2.5 months ago was “Eczema”. I was give a prescription of Triamcinolone Acetonide (Steroidal Ointment) and sent home …. The small ‘pimples’ started about four weeks later, which led eventually to a rash, which became and “angry rash” with a devastating itch. Looking down at my arms, I now realized I had burrows drilling from my wrists to my finger webs … more on my forearms …. Later when I got home and stripped down, I saw burrows EVERYWHERE ! .. Moreover, the borrows were swelling in size … It was a freekin horror movie come to life in my body ! Sure enough … The next day, the swelling dropped and the borrows had diminished in size … the different lumps in different places all became subdued, although the itch was still present. I could tell this was working as advertised … I was told I would need a second application in 7 days, and I thought – Why seven days ? Eggs hatch inside the burrow in 3-4 days into the Larvae stage. It is not yet an adult, and only adults can lay eggs. In each change from larvae to tritonymph, the bug moves to another burrow. In yet another 3-4 days, the tritonymph changes to an Adult, where the female adult will move to yet another shallow burrow, and await a male for mating. This whole process takes about 14 days to produce a mating capable female adult mite. Permethrin is said to kill both live bugs and eggs, but some eggs might escape the first application, which is why the second treatment is necessary. If you count five days from the first application – ALL remaining eggs should have hatched, but are still in the pre-adult transformational stages for another 12 days. They are now laying in shallow burrows. They are ready to kill before they mate and create new eggs …. If you follow the one week between applications protocol, you will kill the remaining live bugs and NO eggs will exist. If you follow the protocol …. It WILL work, and you will be rid of all bugs and eggs. However, here is the rub – You HAVE TO CLEAR YOUR ENVIRONMENT OF ANY BUGS OR EGGS …. You have to be super clean by the time you take your second application … Otherwise, live ADULTS will re-infest your skin and start laying eggs – AGAIN ! … It disrupts the benefit of controlling the lifecycle of these little monsters, and they will AGAIN appear after the second application. Also, it is my understanding that eggs can linger in the environment for 17 days and remain viable. We MUST clear all bugs and their eggs from our little world for treatment to be successful … The car .. the workplace … the shed out back – EVERY place you touch stuff is your environment, so pay heed and vacuum/sanitize EVERY place you will be for one month … This is why it pays off to strip your environment down to a few items …. 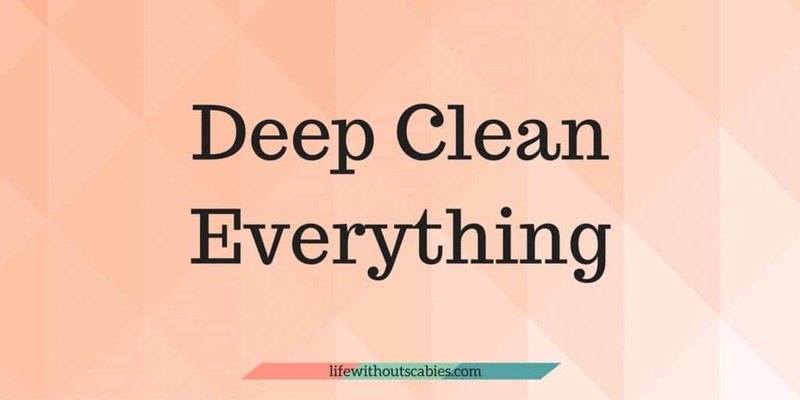 It’s only a few items to sanitize, to vacuum, to launder, to wipe clean …. Sealed bags are your friend (labels and binder clips also) …. Got a spare room ? … Fill bags with unnecessary crap, label and seal them, then toss them in the spare room … I will consider taping the door to seal it and put a date on the door when it can be opened. But my point is – It WILL work if you follow the protocol, but it wont work if you let mites linger in your environment after the first application. I am afraid I am guilty of this, because 1) I had no idea exactly what I needed to do before my first application – I just wanted those little [email protected] OFF OF ME ! and 2) It is damned HARD to clean your environment of all bugs .. immediately. I am five days in, and I am STILL not there … I am pretty sure I have been reinfested, even today, so I will need a THIRD application …. I bought the Martin’s 10% Permethrin and will make my own cream starting Tuesday, but I am sitting here, drinking coffee and taking a break while I strategize my next step ….. This is freekin HARD ! …. and this is why the regular treatment fails for so many …. Once I send this message, I am going to get off my arse and continue cleaning up … I have borax on the carpets … I am calling the dump to pick up my old upholstered furniture and my big old comfy bed … I am switching to a cot for the next month … I am taking all objects that make the clutter of my home, and bagging that crap and sealing the bags for at least a month … I am ridding my life of crap I haven’t used in ages, and I will be ready to roll come Tuesday … I will NOT get reinfested again …. I am going to work the protocol, because it does make perfect sense …. I am glad that I did that first application ASAP, because I wanted it to STOP ! … But now I am not so ignorant, and I am now racing to “git’r done” by Tuesday, or even Wednesday … (8 days is still less than 14) …. Thank you Trajan for your thorough response. It makes complete sense now as to why applying permethrin made me itch terribly and develop hive like rashes. I thought I was going nuts!!!! Patience is also part of this awful process. Infested. Bought Permethrin online10%> . Diluting it and spraying everything…me, digs, house…etc. washing and drying EVERYTHING high heat. doc gave me Permethrin cream @$90…worked for a few days but the tube was so small so pricey…I’m taking charge TODAY. This is a NIGHTMARE. In m a CLEAN person and have no idea where I got scabies from. I am exhausted from no sleep, feel gross, and am bewildered. Hopefully the concentrated Permethrin from Amazon (dilluted) will work. Bought hand cream w castor oil and adding Permethrin to it to use all day. I sprayed the dogs and about to spray myself……. Pls let this work. It’s a miserable predicament. Seriously, if no one has tried Neem oil for scabies please do so! My son was diagnosed and has been dealing with scabies for nine months. The regular prescriptions given for scabies was not working. Finally out of desperation I started reasearching online for natural cures and came upon Neem oil. This oil is beyond AMAZING. I could notice a difference in my sons skin the very next day after the first application. This wonderful oil also tremendously reduced his itching. It?s almost all gone now. Can?t say enough good things about Neem oil. Check it out guys. What about scabies on the face? It seems many of the treatments are harmful for the face. I’ve been living with thes nasty buggers going on a year ,dermatologist , G.P. And he gave me 23mcg ivermectin tablets to take 1week apart I guess he didn’t even look up the proper dosing !!!! 3mcg’s per 15 lbs I weigh 130 lbs am5’7 !!!!! So I FINALLY found this website !!! I have MS and just the thought of having to do all this work seems impossible !! BUT IM GOING TO DO IT !!! MY QUESTION Is can you put the pyrethrine cream ( home made 50/50 ratio ) on my scalp also I can felle the creepy crawlers on my head !!! All you say is to put it from the neck down ! What about your scalp ? I am curious. According to the medical professionals scabies mites won’t live for more than three days without a human host. I would like to think that this is based on scientific evidence. However, you claim that they can live for two weeks or longer. On what do you base this assertion? Please don’t misunderstand me, I am open minded about this. Hey. From my experience and anecdotally from others I’ve continually noticed re-infestations occurring beyond 3 days. I attribute this to a resiliency with these bugs that just wasn’t really acknowledged medically before. Also, I think if they have dead skin cells (food) for sustenance I think they can eat for longer. I doubt that they can reproduce without a host, but I certainly think freshly hatched eggs can make it through adulthood beyond 3 days.